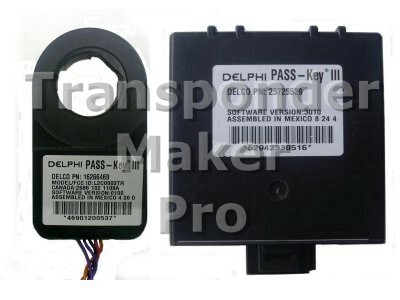 General Motors GM Passkey3 immobox Delphi Memory device is Motorola MCU MC68HC908AS20 PLCC52 package. Expected file size is 512 bytes. Use T5 transponder. Written transponder is ready programmed to start the vehicle.